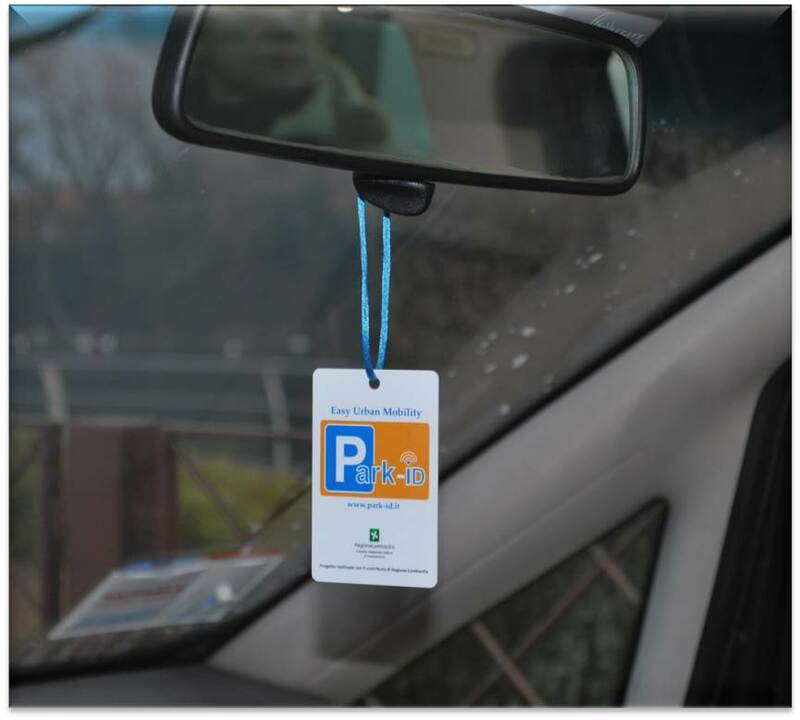 The final goal of Park-ID project is to test and set-up an intelligent transportation system for the perfect automation of the parking regulation and payment throughout the open spaces. The project is addressed to the implementation of innovative management tools into the typical public space where the transports on the road have major impact on the mobility system and thus on the quality of life. Urban traffic has heavy impact at economic, environmental and social level. In Italy, the present search for solutions to the traffic jam problem and the level of environmental pollution are always characterized by the contingent features of both national and local initiatives adopted. Main exception is the plan so-called Ecopass in a narrow area of Milano (i.e. downtown), that is different just for its structured nature. Therefore, a more articulated system could support various measures: for instance, in Japan where they use satellite systems allowing to monitor traffic, to spread real time information to the freight operators and in particular to propose routes and loading and unloading hourly slots more rational and balanced by product categories and traffic density within different areas of delivery. an automatic cost debiting system to the customer, that allows to pricing and managing the parking flow in a way more flexible and adapted to the users’ profiles. the participation in testing and evaluation of the project outcomes.